Now that the Fall season is here, and the weather is cooling down, it's time to revamp our skincare routines by adding in more moisture from head to toe. 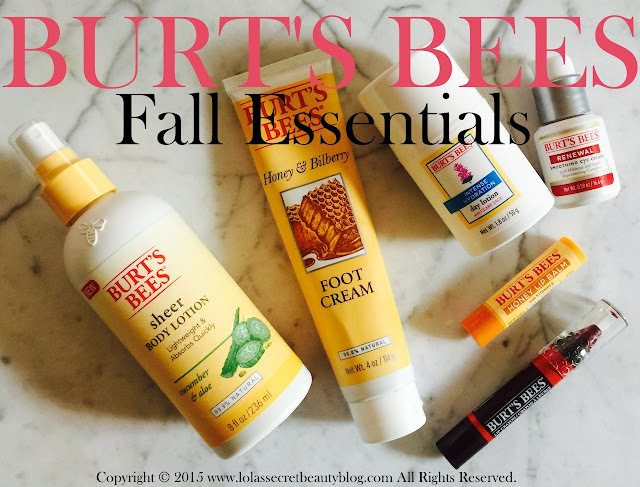 As a huge fan of Burt's Bees products, I chose a few of my #FallFavorites! Burt's Bees Sheer Body Lotion in Cucumber & Aloe ($10.00 for 8 oz. 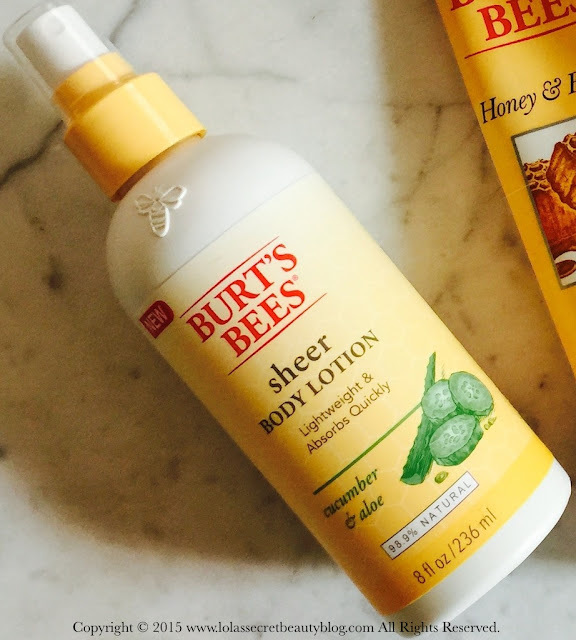 from Burt's Bees, Target, Drugstore.com, Walgreens, Dermstore.com and Amazon): If you love super emollient and ultra moisturizing body lotions, then you really must try one of the Burt's Bees Sheer Body Lotions. Their scents include Cucumber & Aloe, Violet & Mango and Clementine & Calla Lilly (reviewed here), and I love the two that I have so much that I really want to try the Violet & Mango next. This is an ultra luxurious lightweight lotion that is thin enough to dispense through a spray bottle without ever clogging, and yet it remains rich enough to nourish and moisturize the skin with remarkable efficacy and precision. This fast absorbing lotion has a wonderfully fresh scent punctuated by the fusion of Cucumber and Aloe. The fresh aroma is neither overpowering, nor is it too long-lasting– instead, it remains close to the skin and will not interfere with any fragrance that you wear. Skin is left soft, silky smooth, supple, hydrated and luminous. Clinically shown to quickly smooth and silkify skin in seconds without the use of emulsifiers is just one of the amazing benefits of our Cucumber & Aloe Sheer Body Lotion. We can thank Safflower Seed Oleosomes for that. Some other amazing benefits include, but are not limited to: a soothing scent of Cucumber & Aloe and a lightweight, non-greasy formula that moisturizes skin without that heavy lotion feel. All thanks go to nature. In plant seeds, oleosomes preserve nutrients and energy until the seed is ready to sprout. So of course we turned to nature to create our Sheer Body Lotion. Natural Safflower Seed Oleosomes allow this lotion to be absorbed quickly and keep skin naturally hydrated, without the use of emulsifiers. Ingredients: Water, Caprylic/Capric Triglyceride, Glycerin, Lauryl Lactyl Lactate, Glyceryl Stearate, Cetearyl Alcohol, Helianthus Annuus (Sunflower) Seed Oil, Carthamus Tinctorius (Safflower) Oleosomes, Behenyl Alcohol, Fragrance, Coco-Caprylate, Arachidyl Alcohol, Arginine, Butyrospermum Parkii (Shea) Butter, Cocos Nucifera (Coconut) Oil, Gluconic Acid, Phenoxyethanol, Polyglyceryl-4 Caprate, Potassium Stearate, Sclerotium Gum, Sodium Benzoate, Stearyl Alcohol, Tocopherol, Xanthan Gum. Burt's Bees Honey & Bilberry Foot Cream ($8.49- $10.00 for 4 oz. 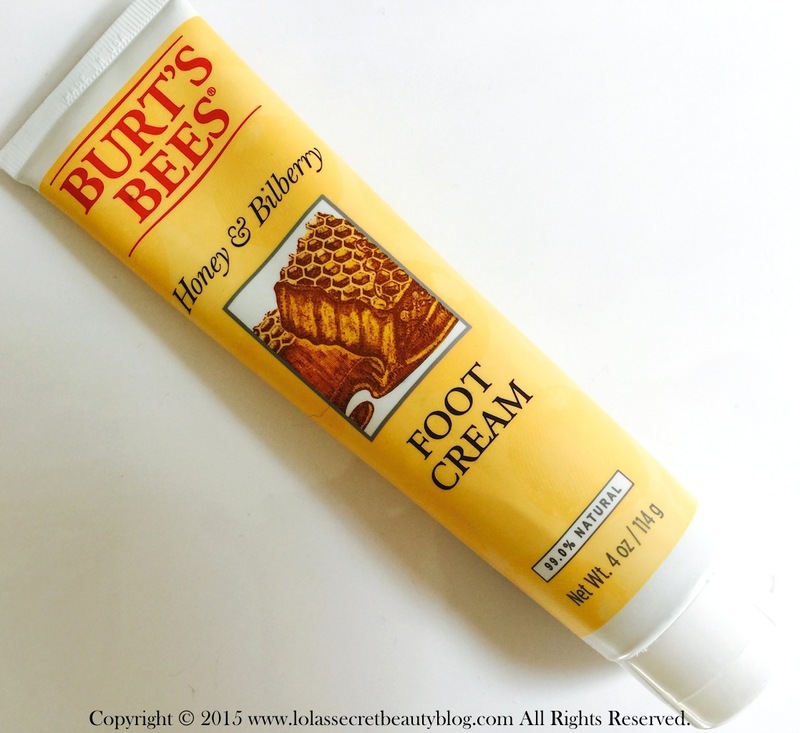 from Burt's Bees, Target, Drugstore.com, Walgreens, Dermstore.com and Amazon): This deliciously honey scented foot cream is an unmitigated delight to use. It smells heavenly, it deeply moisturizes the roughest skin, and it does an extraordinarily job exfoliating calloused dead skin on the feet. 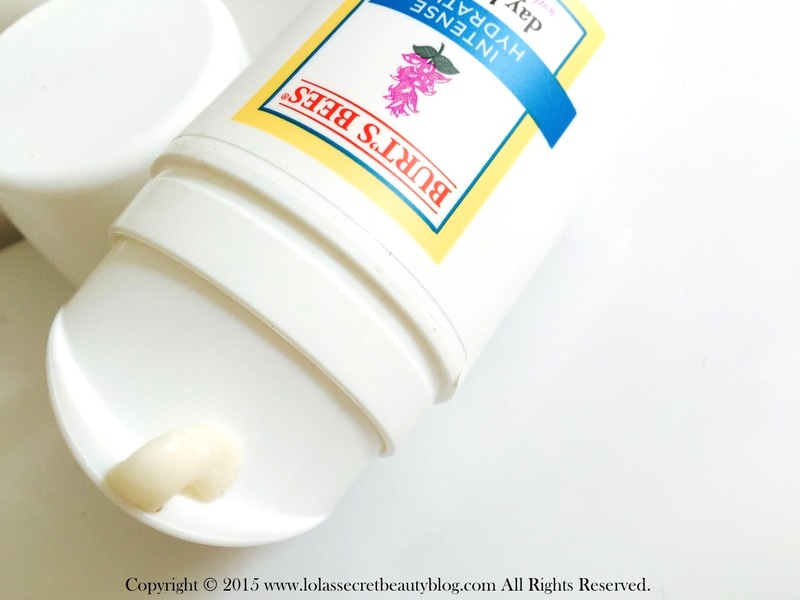 After using it highly for a few weeks, I noticed that my feet had become very soft, supple and smooth. I highly recommend using this at night in conjunction with comfy socks, you will see the difference the following morning! Show your feet just how much you care with our therapeutic foot creme. Bilberry Extract, a natural Alpha Hydroxy Acid, helps exfoliate dry skin and soften calluses as Honey, Jojoba Butter and Rosemary Extract lovingly help replenish moisture. The result is soft, smooth feet. Bring on the flip flops. The perfect way to show your affection, Honey is an ode of everlasting devotion to your skin. Sweet and deliciously fragrant, it's the ideal natural moisturizer that helps soften and recondition. Letting you live happily ever after in your skin. Ingredients: Water, Vitis Vinifera (Grape) Seed Oil, Simmondsia Chinensis (Jojoba) Butter, Glycerin, Beeswax, Stearic Acid, Theobroma Grandiflorum Seed Butter, Macadamia Ternifolia Seed Oil, Fragrance, Honeyvaccinium Myrtillus Fruit Extract, Helianthus Annuus (Sunflower) Seed Oil, Sugar Cane Extract, Acer Saccharum (Sugar Maple) Extract, Citrus Aurantium Dulcis (Orange) Fruit Extract, Citrus Medica Limonum (Lemon) Fruit Extract Tocopherol, Beta-Carotene, Rosmarinus Officinalis (Rosemary) Leaf Extract, Glucose, Sucrose Stearate, Sodium Borate, Sodium Chloride, Xanthan Gum, Canola Oil, Glycine Soja (Soybean) Oil, Glucose Oxidase, Lactoperoxidase Butylphenyl Methylpropional, Coumarin, Hydroxyisohexyl 3-Cyclohexene Carboxaldehyde. Burt's Bees Intense Hydration Day Lotion with Clary Sage ($15.29-$18.00 for 1.8 oz. from Burt's Bees, Ulta, Drugstore.com, Walgreens, Dermstore.com, Target and Amazon): This is a rich, thick and fast absorbing lotion that has the consistency of a cream. It locks in moisture, plumps fine lines, and leaves skin luminous, soft, supple and deeply hydrated. 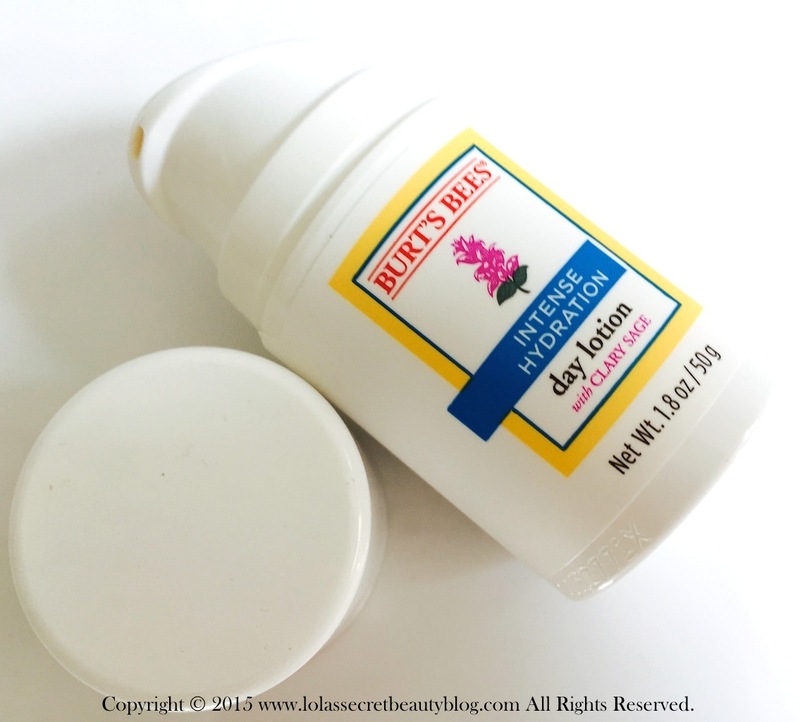 It is formulated for drier skin, but when used sparingly it works incredibly well for my combination skin. This is perfect for drier skin types year round, but normal to combination skin types will really benefit from this luscious formula during the colder months of the year. Love your skin like never before with our fast-absorbing natural day lotion for dry skin. Infused with Clary Sage, our best anti-aging moisturizer for the daytime is clinically proven to provide intense hydration and also helps reduce the appearance of lines and wrinkles. Our carefully crafted formula also helps increase skin’s ability to retain moisture, so your dry skin is left feeling soft and supple for a revitalized look. Ingredients: Aqua (Water, Eau), Caprylic/Capric Triglyceride, Glycerin, Cetyl Alcohol, Stearyl Alcohol, Glyceryl Stearate, Parfum (Fragrance)*, Propanediol, Salvia Sclarea (Clary) Extract, Lactobacillus, Astrocaryum Tucuma Seed Buttertrichilia Emetica Seed Butter, Cera Alba (Beeswax, Cire D'abeille), Simmondsia Chinensis (Jojoba) Seed Oil, Aloe Barbadensis Leaf Powder, Persea Gratissima (Avocado) Oil, Citrus Aurantium Amara (Bitter Orange) Peel Polymnia Sonchifolia Root Juice, Lecithin, Alpha-Glucan Oligosaccharide, Maltodextrin, Tocopherol, Xanthan Gum, Glycine Soja (Soybean) Oil, Stearic Acid, Sodium Pca, Potassium Stearate, Potassium Sorbate Sodium Benzoate, Phenoxyethanol, Amyl Cinnamal, Eugenol, Hydroxycitronellal, Linalool. *Natural Fragrance. 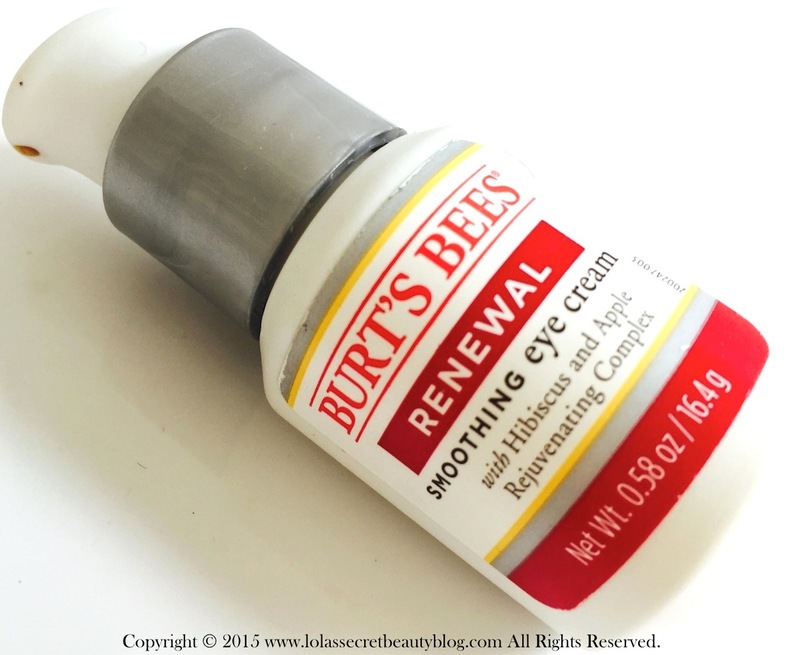 Burt's Bees Renewal Smoothing Eye Cream ($20.00 for 0.58 oz. from Burt's Bees, Ulta, Target, Drugstore.com, Walgreens, Dermstore.com and Amazon): Longtime readers are well aware of my obsession with high quality eye creams, but are likewise aware that I am prone to getting milia from those that are too rich. First, I must report that Renewal Soothing Eye Cream doesn't give me any milia, and that it does a phenomenal job reducing my under eye circles and plumping fine lines. Furthermore, the delicate skin under my eyes receives deep moisture and hydration from this eye cream, and the end result is soft, supple and moisturized skin. Ingredients: Aqua (Water, Eau), Caprylic/Capric Triglyceride, Glycerin, Stearyl Alcohol, Cetyl Alcohol, Glyceryl Stearate, Citrullus Lanatus (Watermelon) Fruit Extract, Plukenetia Volubilis Seed Oil, Strelitzia Nicolai Seed Aril Extract, Beta Vulgaris (Beet, Extrait De Racine De Betterave) Root Extract, Lens Esculenta Fruit Extract, Pyrus Malus (Apple) Fruit Extract, Hibiscus Sabdariffa Flower Extract, Hydrolyzed Adansonia Digitata Extract, Plankton Extract, Scutellaria Alpina Flower/Leaf/Stem Extract, Trifolium Pratense (Clover) Leaf Extract, Phragmites Communis Extract, Poria Cocos Extract, Cera Alba (Beeswax, Cire D'abeille), Stearic Acid, Ribose, Xanthan Gum, Lecithin, Magnesium Aluminum Silicate, Hydrolyzed Corn Starch, Potassium Stearate, Dipotassium Glycyrrhizate, Linoleic Acid, Tocopherol, Glycine Soja (Soybean) Oil, P-Anisic Acid, Sodium Lactate, Sodium Pca, Citric Acid, Sodium Citrate, Linolenic Acid, Lactic Acid, Sodium Benzoate, Potassium Sorbate, Phenoxyethanol. Burt's Bees Honey Lip Balm ($3.30 for 0.15 oz. from Burt's Bees, Target, Ulta, Drugstore.com, Walgreens, and Amazon): Burt's Bees makes some of my all-time favorite lip balms, and their Honey Lip Balm is my current favorite. In fact, I plan to get a couple more to stow in my handbag, desk drawer, and anywhere else I can think of. I love the creamy texture, the emollience and honey flavor. My lips are left nourished, hydrated and silky smooth. Ingredients: Helianthus Annuus (Sunflower) Seed Oil, Cocos Nucifera (Coconut) Oil, Lanolin, Aroma (Flavor)*, Mel (Honey, Miel), Tocopherol, Rosmarinus Officinalis (Rosemary) Leaf Extract, Glycine Soja (Soybean) Oilcanola Oil (Huile De Colza), Benzyl Benzoate, Coumarin. *Natural Flavor. 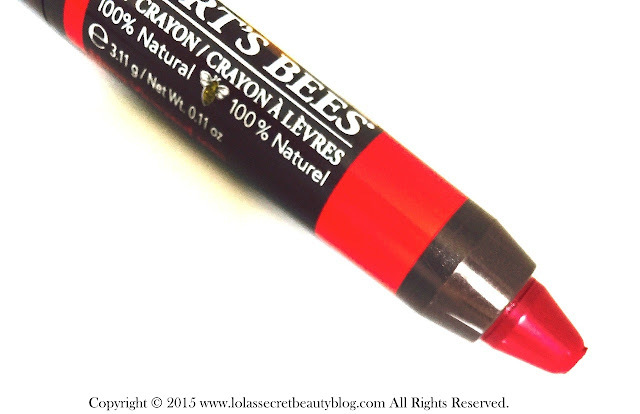 Burt's Bees Lip Crayon in Napa Vineyard ($9.00 for 0.11 oz. from Burt's Bees, Ulta, Target, Drugstore.com, Walgreens, Dermstore.com and Amazon): I love Burt's Bees Lip Crayons, in part because of their great natural ingredients, but also because they are high quality, and beautifully pigmented chubby lip crayons. The lightweight balm-like texture is both comfortable on the lips and moisturizing. It features a convenient twist up design, and none of the mess or waste associated with sharpening. While it is described as a full coverage matte lip color, I would add that like many modern mattes this one does possess some sheen. Unlike other mattes, this one contains Shea Butter, Kendi Oil and Jojoba Oil, and the added moisture that these ingredients provide makes this one fantastic formula. 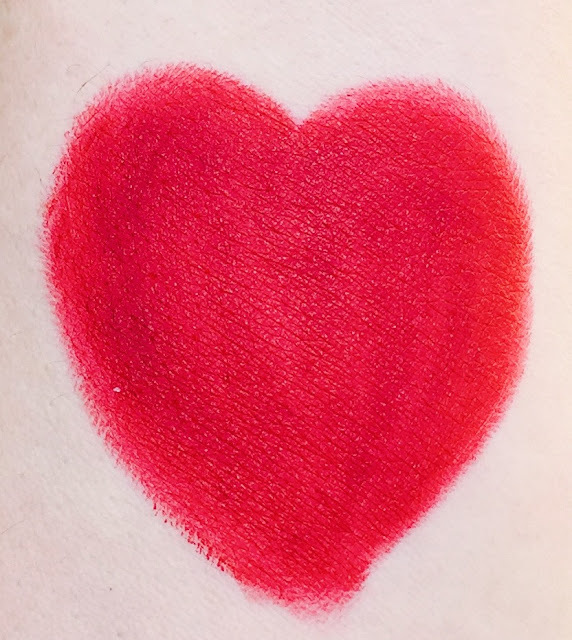 This hydrating lip crayon is a wonderful hybrid lipstick/lip balm that you can wear all day long without your lips getting dry or uncomfortable. It is also a very affordable alternative to the luxury matte lipsticks on the market that dry lip sufferers tend to avoid. It has the perfect amount of cushion, feels divine on the lips, and is long wearing. Burt's Bees Lip Crayons neither contain added fragrance, nor flavor-- so they won't pose a problem for people sensitive to fragrance in their beauty products. Burt's Bees Lip Crayon in Napa Vineyard is the perfect blue-based red lip color for the fall, and for me it was pure unmitigated love at first sight. Introducing six creamy, full-coverage shades of matte lip color in a modern crayon for truly beautiful lip color. Lightweight moisture for a comfortable, everyday wear formula infused with Shea Butter, Kendi Oil, and Jojoba Oil. It's color that truly cares for your lips! Shea Butter helps to hydrate and moisturize dry lips leaving them feeling soft and smooch-worthy smooth. Enriched with conditioning Jojoba Oil and Kendi Oil, which are chock full of Omega 3 to hydrate and moisturize lips. And don't forget the Shea Butter for an extra dose of moisture. Ingredients: Ricinus Communis (Castor) Seed Oil, Caprylic/Capric Triglyceride, Simmondsia Chinensis (Jojoba) Seed Oil, Candelilla Cera (Euphorbia Cerifera Wax, Cire De Candelilla), Cera Alba (Beeswax, Cire D'abeille), Cera Carnauba (Copernicia Cerifera Wax, Cire De Carnauba), Butyrospermum Parkii (Shea) Butter, Hydrogenated Vegetable Oil, Aleurites Moluccana Seed Oil*, Olea Europaea (Olive) Fruit Oil, Helianthus Annuus (Sunflower) Seed Oil, Rosmarinus Officinalis (Rosemary) Leaf Extract, Tocopherol, Lecithin, Silica, Glycine Soja (Soybean) Oil. +/- (May Contain / Peut Contenir): Ci 77891 (Titanium Dioxide), Ci 77019 (Mica), Ci 75470 (Carmine), Ci 77491, Ci 77492, Ci 77499 (Iron Oxides) *Kendi Oil. Left to Right: Sedona Sands (reviewed here), Redwood Forest (reviewed here), Niagra Overlook, Carolina Coast (reviewed here), Hawaiian Smolder and Napa Vineyard. 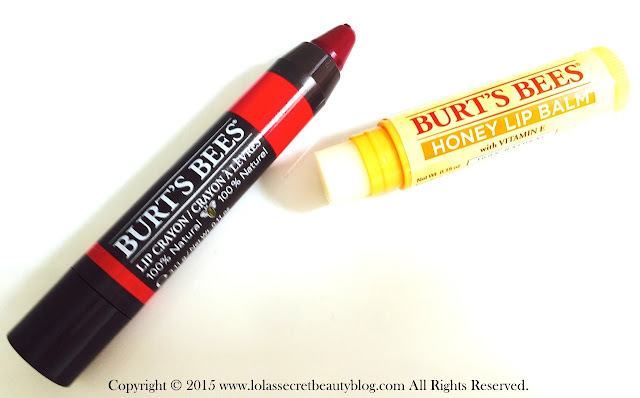 Overall Assessment: I have nothing but love for Burt's Bees products! They make superior quality products that are filled with healthy ingredients, and they are affordable! What are your favorites from Burt's Bees? Any Holy Grail products that you will never go without? I'm so surprised that the spray lotion is ultra-moisturizing. I never would have tried that product if I hadn't read your review, Helen! But now I am so curious about it. And thank you for publishing the ingredients of the lip balm and especially the lip crayon. I have avoided Burt's Bees lip products for years because they used to put the dreaded (for me anyway) peppermint oil in all the lip products and they wreaked havoc with my poor dry lips. Now I can wear them again, and the pigment on the lip crayon looks fabulous! Great review! 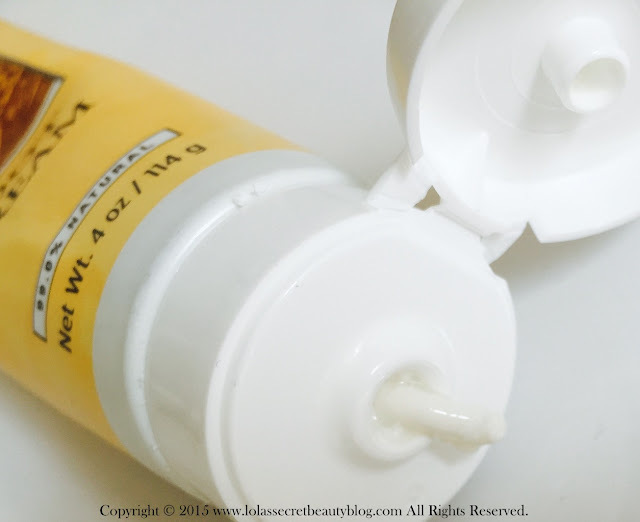 I definitely find it very moisturizing– I suspect because of the Sunflower Oil, Coconut Oil and Shea Butter. Since your skin is direr than mine you might want a richer and thicker cream for the colder months– especially given how cold it gets in your region of the country. They definitely don't list peppermint oil among their ingredients, and there is none of the sharp flavor associated with it. You are welcome. I think that it's important to include the ingredients since people are ingredient savvy and should know precisely what's inside the products that they consider using. I need all the hydration I can get! My skin is starting to feel dry. I love Burt's Bees! I love Burt's Bees as well, and I know what you mean about needing hydration. It's that time of the year to counteract the effects of the changing season by ramping up on moisture-laden products! I like Burt's Bees. They make such lovely and affordable products. I need to pick up some of those lip crayons. I keep meaning to and then I pass by them when I'm at the store. I agree! It's so refreshing to be able to find top notch quality products affordably! You definitely need to pick up a few of their lip crayons– they do not disappoint! I have yet to get my first Burt's bee item! SHAME haha! In fact, their lip balm has always been on the first spot on Amazon's beauty section. Must try that! You definitely need to try something from the line– their products are so great! Their lip crayons are absolutely amazing! My favorite product from burts bees is the lip balm! I have been using lip products from them for forever! Their lip balms are iconic, no doubt! This Honey Lip Balm is delectable! Love Burt's Bees, but I always forget they have skincare products now! I used to love their lip products. Their skincare products are quite impressive, and so affordable! I love their lip products as well! I love their Lip Crayons! That shade is to die for! Me too, I am obsessed with their Lip Crayons, and this one is particularly gorgeous and highly saturated! These sound like great fall picks! I am still so surprised that Burt's makes vegan-friendly options. It's pretty cool to see! Thanks, Tashina! I know just what you mean, it's always a surprise to see their products that are honey-free! It's more like Burt's, rather than Burt's Bees! LOL! It's a good move though, since the vegan sector of the market has been excluded from using the bulk of their products for so long! I've loved their lotions, but never tried their lip crayons. That color looks amazing! I agree, their lotions are really great! You really must try their lip crayons, they are wonderful! I agree with you, their products are really fantastic! Since you love their products, you owe it to yourself to try their lip crayons– they do not disappoint! I just bought another squeeze tube of lip balm from BB. Now I want that foot cream. It's such a great brand. Their squeeze tube lip balms are definitely among my favorite balms! Their foot cream is fantastic, and should serve you well during the upcoming cold Michigan winter! It really is a great brand, and it's so nice that it's affordable! This was has been my first year really getting into Burt's Bees beyond their lip balm. I think I'm going to try out their lip crayons next, I love that color you swatched! I am a big fan of their Coconut Foot Cream so but didn't know they had a honey one. I'm so going to need to try it next! Oooooh the Coconut Foot Cream sounds heavenly! I will have to try that one next! I think that you will love this one! I LOVE Burt's Bees! I cannot live without their lipbalm...and now I think I need Vineyard! Me too, and their lip balms are essential must-haves for me! I think that you will be deliriously happy with Napa Vineyard– it's even more beautiful in person! I love Burt's Bees, but I haven't tried anything other than their chapstick. Need to try these others. Hi Kristen, I used to use only their lip balms, but they have so many amazing products that are really worth trying! Honestly, I haven't encountered a dud yet! it's been several years since I have used anything from Burts Bees... while i love the concept of the line they offer, I always find so many things are hit and miss for me. I need to check some of these out. Hi Honey! You should definitely revisit the line– they have so many wonderful products to love!